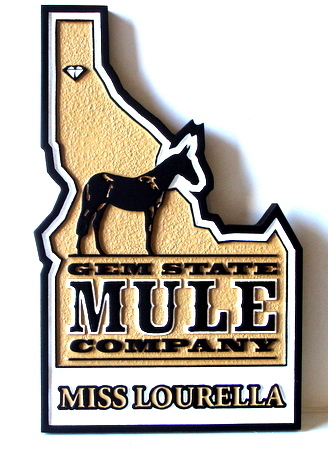 This unique and interesting carved sandblasted HDU sign catches your eye and interest immediately. Art, text and borders are carved and raised; the inside of the shape of Idaho is sandblasted in a sandstone texture. The colors are natural. It can be mounted on a wall or hung from a wood or iron hanger/scroll bracket out from the wall or a post.